Posted On October 04, 2018 by Team iCynosure. Often, some of the smallest things and decisions untaken by us have the most significant impact on our future. Even though a talent hunt exam might seem insignificant initially, it can entirely change your child’s future for the best. Appearing in a talent hunt exam is a great way to gauge performance and align interests of your child for the future. Talent hunt exams also provide scholarships to meritorious students – making these exams highly regarded. Most talent hunt examinations are skill-based assessments based on the syllabus directed by central boards such as CBSE and ICSE. For instance, talent hunt exam such as ANTHE – conducted by Aakash Institute is a gateway to JEE and NEET preparation through their coaching classes. Any student from class 8th onwards can appear for ANTHE and begin their preparation for admission in the top engineering and medical colleges in the country. Aakash Institute offers up to 100% scholarship for their coaching classes. Once your child appears in a talent hunt examination and wins a scholarship, many different avenues will line up for them. Earning a scholarship will instil a sense of achievement in your child which is crucial for their growth in the future. When your child realises their potential, they will be more focused to do better and give their best. Winning a scholarship by appearing in talent hunt examination also boosts confidence and equipping your child to take on future challenges. If your child is academically meritorious, appearing in a talent hunt examination and winning a scholarship will put their career on the forefront. They will be given a chance to prepare for the toughest entrance exams like JEE and NEET without any financial liability. Furthermore, adding such academic feats on the resume helps in the future when your child will be applying for jobs in the best organisations around the world. A mention of scholarship on the resume stands out in both university and job applications. Students who are serious about studies often take talent hunt examination as a challenge and a goal they want to achieve. Since their priorities are lined up, they are selective about how they spend their time. They have a greater focus on studies and getting things done. If your child has a bent towards science, winning a scholarship through talent hunt exam like ANTHE can be a tremendous personal achievement for them. Students who earn a scholarship through a talent hunt exam are already aware that they are a part of the cream. The scholarship further enhances their career and brings them into the limelight where they can connect with other meritorious students. Exams like NEET and JEE are highly competitive, and your child needs to foster that state of mind. 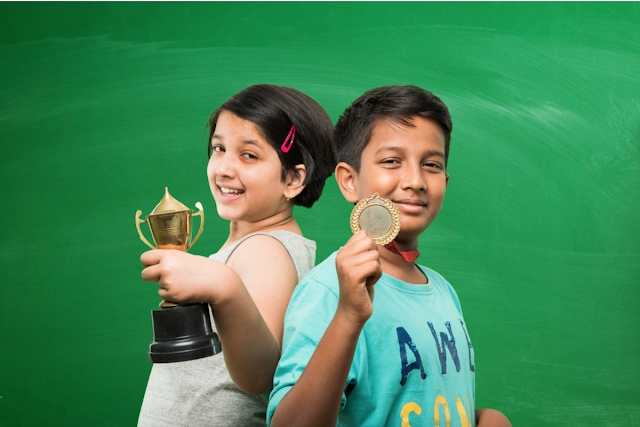 When your child is connected with other meritorious students at the coaching classes, they will perform better because of the competitive environment. Most talent hunt examinations provide scholarships to meritorious students. If your child performs well in exams like ANTHE, they will be provided with up to 100% scholarship to prepare for JEE or NEET. When your child is aware that the coaching classes are paid off by a scholarship, it will lift off any burden. In such a situation, your child will only have to concern themselves with studies. The money saved can be used for college education in the future. If your child lacks motivation but is extraordinary at studies, a scholarship can be the ultimate motivator. It will boost their willpower and motivate them to showcase their best talent. By consistently being in a state of motivation to achieve better, they will shape their future self. There is no doubt that building a career depends on many factors. However, providing the best opportunities for your children lies in your hands. A talent hunt examination can be an eye-opener for your child. ANTHE is the most popular talent hunt examination that provides up to 100% scholarships. Scoring good in ANTHE will bring your child closer to their medical or engineering dream. So now that you understand the impact a scholarship can make on your child’s future, it is time to fill forms and give them the best. Thanks For sharing this. Hope you are having a great week.